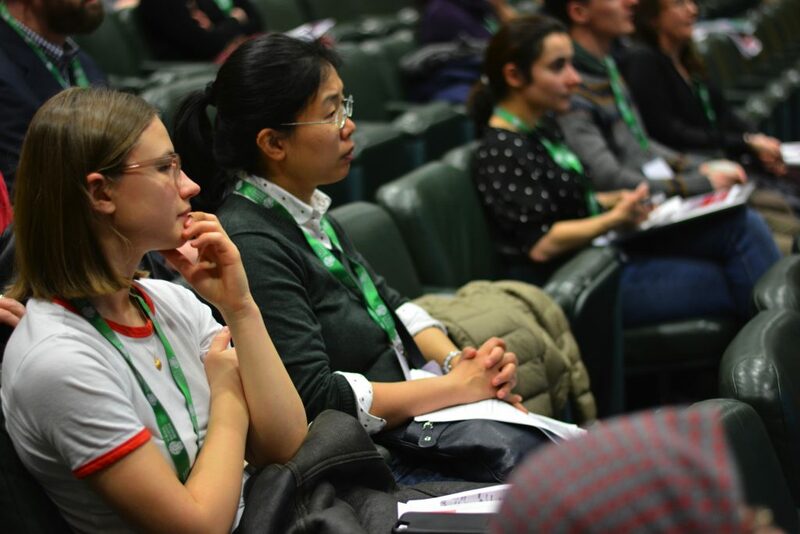 Many did – as they attended the fifth collaboration of Medics4RareDiseases (M4RD) and the Royal Society of Medicine (RSM) titled ‘The Unusual Suspects: Rare Diseases in Everyday Medical Care’ on 20th February 2019. 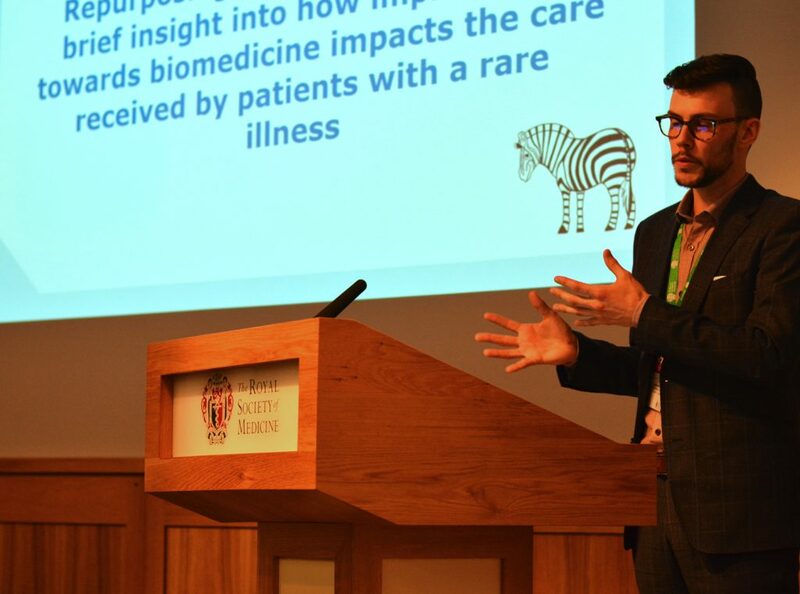 In recognition of Rare Diseases Day, on 28th February, delegates arrived at the RSM for an event that promised the opportunity to explore how generalists can approach patients with rare diseases – it did not disappoint! 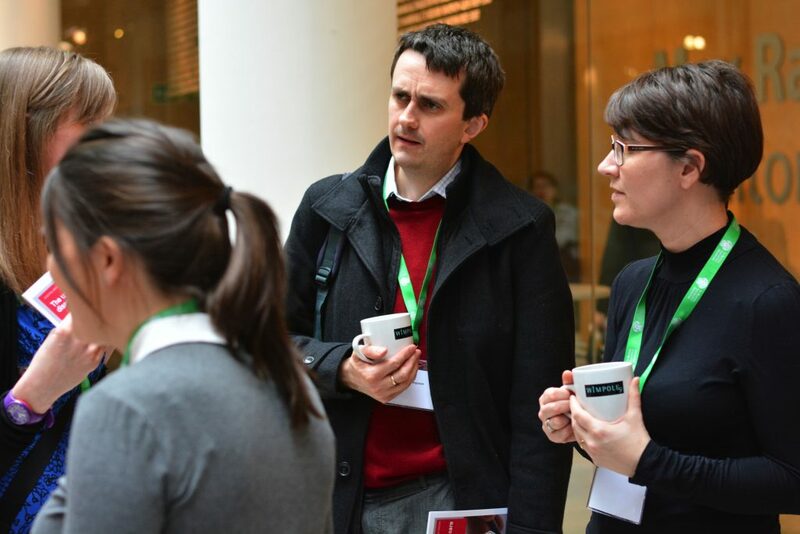 On arrival, attendees congregated in the grand foyer of the RSM for refreshments and the opportunity to network. 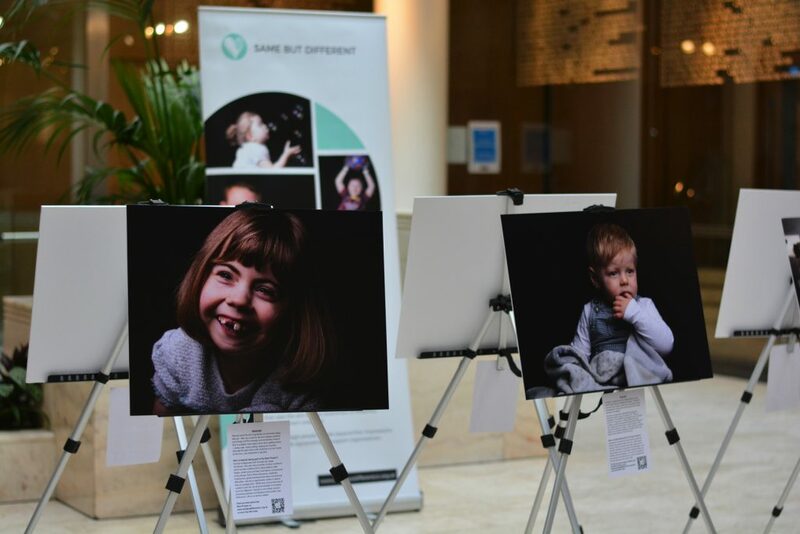 Between meetings was the chance to view the inspirational exhibition by Same but Different, an organisation that uses photography to give a greater voice to those affected by rare diseases. 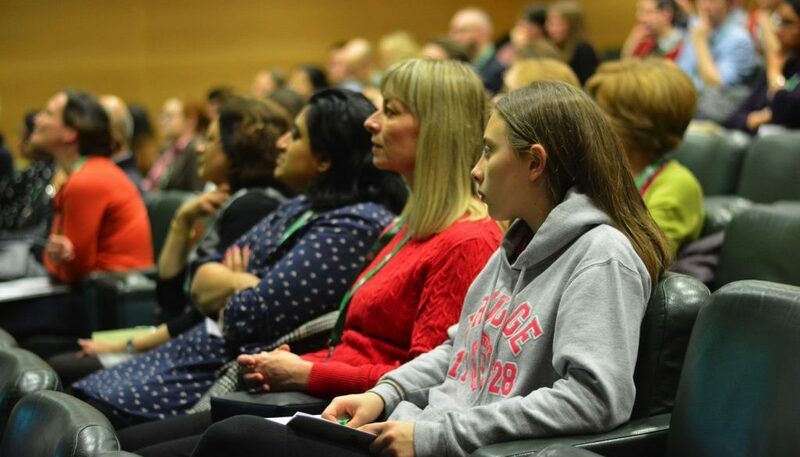 It was fantastic to see such a diverse population in attendance: patients, family, friends, carers, volunteers and healthcare professionals of all walks. 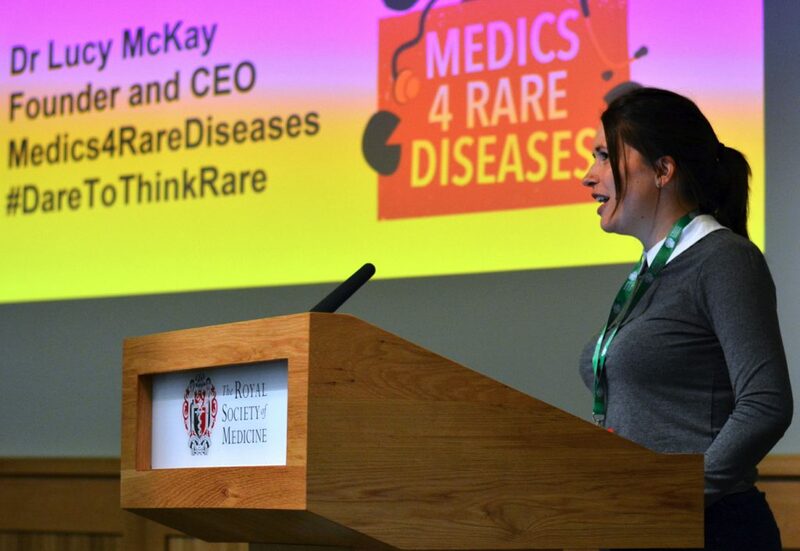 Before our first guest speaker took the stand our CEO, Dr Lucy McKay, introduced the event, delivering a reminder of the importance of rare diseases in medical practice, and the reason we were all there. Our first speaker was Dr Will Evans, General Practitioner and Chair of Niemann-Pick UK. His perspective on rare diseases is unique as it stems not only from encounters in his professional life, but more importantly, on a personal level. He is the father of three children, of whom his youngest has Niemann-Pick type C – a condition affecting around 100 patients in the UK. Dr Evans led the audience through the day-to-day life of a GP, and how his son’s diagnosis had directed his career leading to involvement in charity work and research. He reminded us that the majority of people with rare diseases are living in the community and not in hospital. 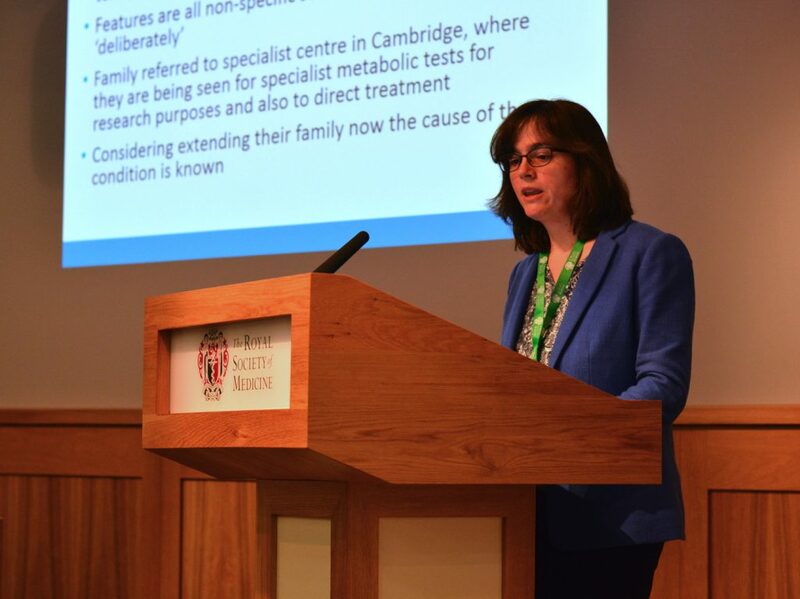 When we think of rare diseases it can often be too easy to assume that, due to their complexity, they are predominantly managed by specialists. In reality, it is the GP that will see these patients most frequently. As a patient’s primary contact for medical attention, they have a responsibility to detect signs that may prompt an early diagnosis and, once this is achieved, have a continued responsibility to provide good generalist care through advocating, facilitating and ensuring a collaborative approach. Our second presenter, Dan Jeffries, provided a humbling yet hilarious account of living with not one, but two rare diseases. Dan is a particularly rare individual. At four years old he was diagnosed with Wyburn-Mason syndrome (a condition with less than 100 reported cases in the last 50 years, worldwide!). Due to eye signs associated with his condition, at age 30 Dan was invited to be a ‘pretend patient’ for medical student observed structured clinical examinations (OSCEs). This is when medical students are tested by examining an unknown patient and coming to a differential diagnosis. He noticed a repetitive description of his features by the students that led him to return to his doctor. This was the start of his journey to his second rare disease diagnosis: acromegaly. Dan’s inspiring talk took us through his life, providing a first-hand account of life with a rare disease. Accompanied by a simple slideshow using only imagery, he was able to provide an emotive and insightful account of his journey. For those unlucky enough to have never seen him speak, in 2015 he published his memoir – Me, Myself & Eye’. 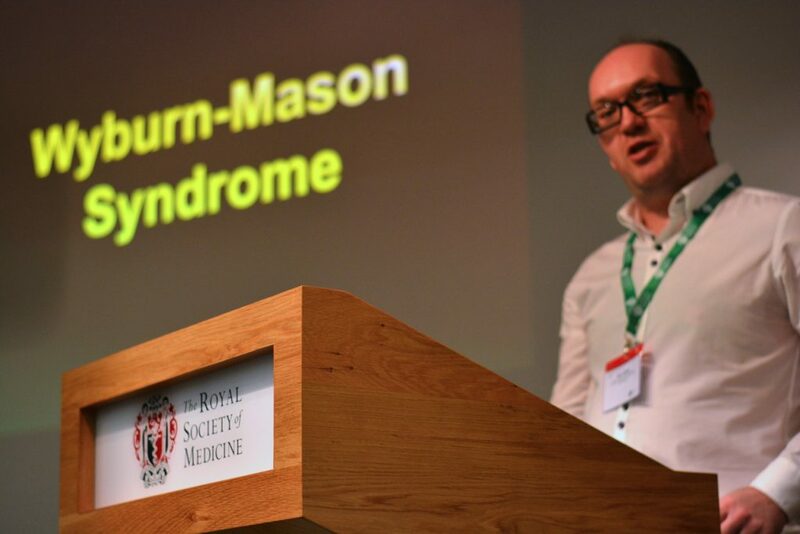 He remains very active in the rare disease community, often spotted speaking at conferences and working as a Trustee for M4RD and an advocate for The Pituitary Foundation. 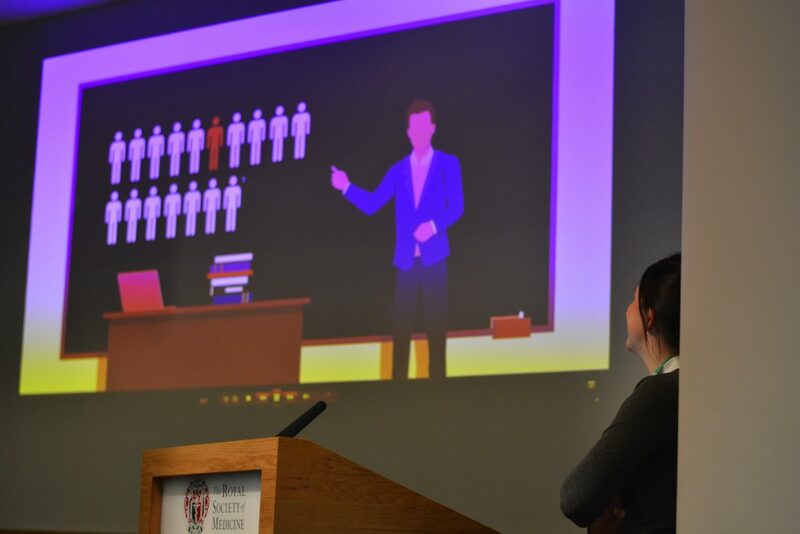 Third to the stand was Dr Ellen Thomas, clinical lead for NHS Genomic Medicine, who provided us with an overview of the role of genomics in mainstream medicine. An exciting inclusion of her talk was an update on the 100,000 Genomes Project which to date has sequenced 104,248 genomes (over-shooting their target!) and given results for over 60000 of these genomes back to the NHS. As we move towards personalised medicine, genomics becomes an ever-more important area of medical practice. Although applicable to all specialties, it holds particular importance to the rare disease community due to its huge impact on diagnosis. It was exciting to hear the speed at which this field is progressing, and how in the next five years genomic testing will become routine in a wider range of clinical contexts. Watch this space! Following on from Dr Thomas was this year’s Student Voice Essay Competition winner, Logan Williams. A current final year medical student at the University of Auckland, Logan delivered an account of a personal encounter he had had during his medical training. During his paediatric placement, Logan met a young boy with Worster-Drought syndrome and his mother. This encounter led to an appreciation of the wider impact that complex conditions can have on patients and their families. His take home message was an important one; to not become so focussed on the biomedical aspects that we lose sight of the bigger picture – to remember the overall effects of an illness, and not just of the disease. 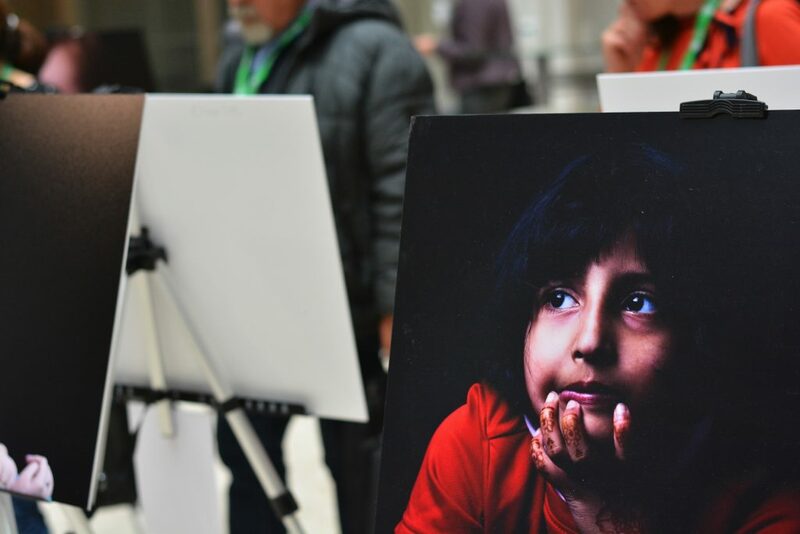 His talk sparked discussion about whether these impacts are effectively taught in the medical school curriculum, alongside the wealth of scientific and clinical content. A more than deserving winner of The Student Voice prize, he has reminded us that an individual at any level of their career has a thought-provoking message to teach. For those interested in the entering the Student Voice Essay Competition, a collaboration between Findacure and M4RD, it will open again in October 2020. Nicola Miller – Do You Hear Me? Our penultimate presenter was Nicola Miller, Editor in Chief of Rare Revolution Magazine and Chair of Teddington Trust. Her talk came from a very personal place, the quest for getting a diagnosis for her son, Eddison, who has xeroderma pigmentosum. It took numerous encounters with a range of healthcare professionals for someone to take the time to simply listen to her son’s journey and to put them on the path to getting his diagnosis. Although listening may sound like a simple act, her presentation reminded us of the important difference between passive hearing and active listening. It can sometimes be difficult in a pressured environment to give each patient the time that we want to give, and that they deserve. 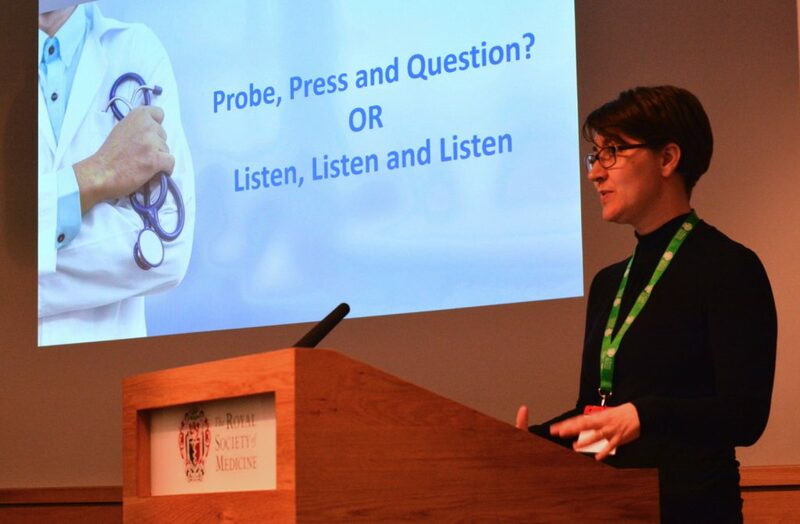 We should always try to remember the importance of listening, both in the value of a detailed patient history to reaching a diagnosis, and how feeling respected and understood can help to cope with fear of an unknown diagnosis. 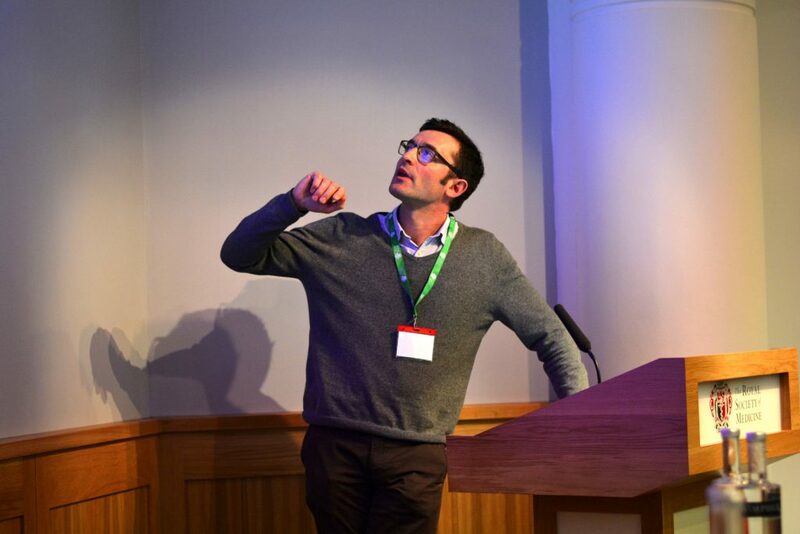 To round off the day, Rudy Benfredj, CEO and founder of Mendelian, spoke on digital pattern matching for rare disease diagnosis. Mendelian is a digital engine that rapidly diagnoses rare diseases from a user inputting a list of symptoms. 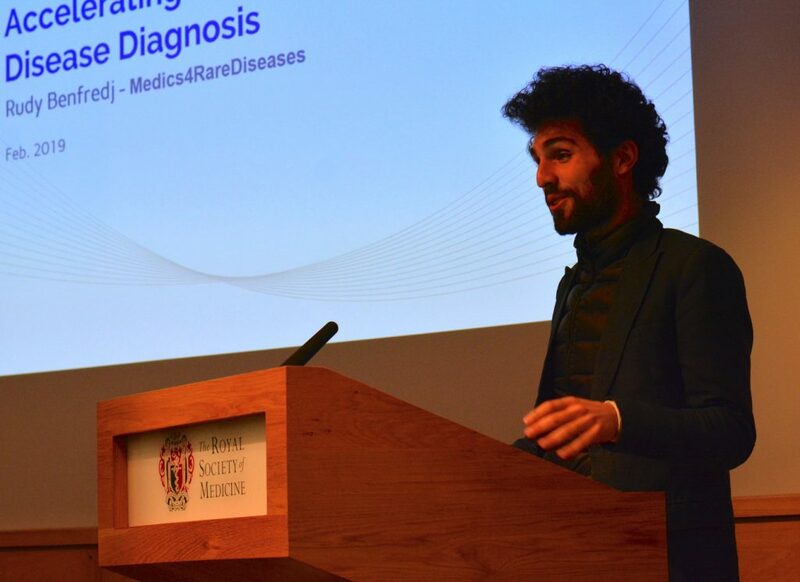 It was designed as a tool for clinicians, to help tackle the diagnostic odyssey associated with rare diseases. As well as aiding experts in narrowing down a differential diagnosis, it provides the general clinician with a starting point for investigating an individual with an unusual presentation. It is already used nationally by world renowned institutions and, with it constantly updating, provides an exciting example of the benefit of computer technology to medical practice. Coming across a patient with a rare disease can create a situation that many healthcare professionals find daunting – where the patient knows more about the condition than they do. One of the fundamental principles of M4RD is to educate healthcare professionals on how to approach such situations. 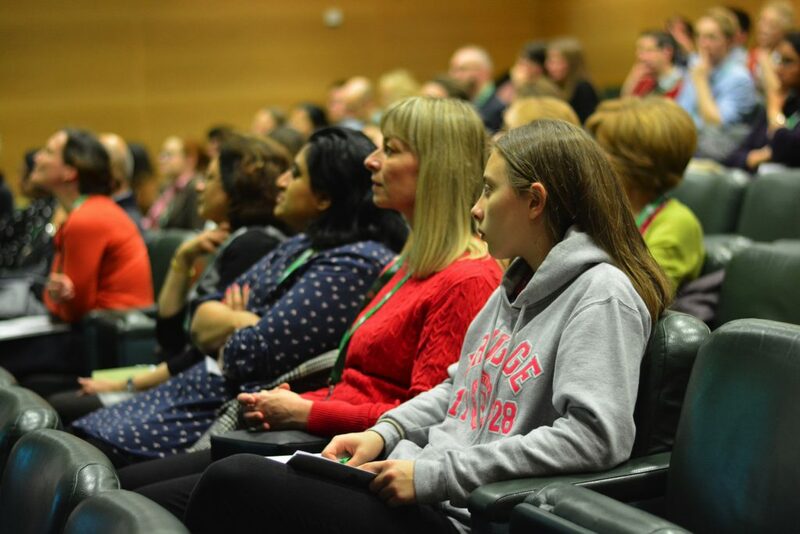 Rather than aspiring to a detailed knowledge of every rare disease, emphasis is put on understanding how to manage a patient’s needs, which members of the wider disciplinary team to involve, and of the importance of maintaining a holistic approach. 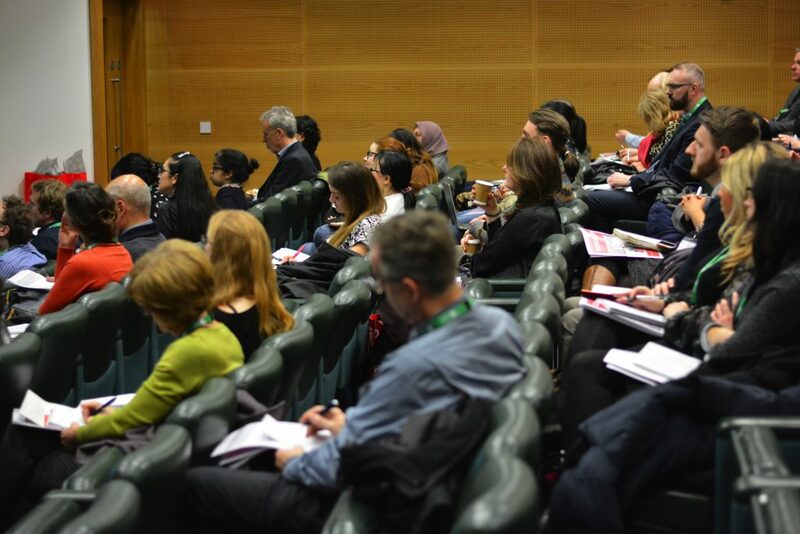 This event provided delegates with an inspiring and informative afternoon of lectures from speakers including a range of perspectives on rare disease management. I would highly recommend it to any healthcare professional wanting to improve their clinical acumen and am very much looking forward to attending next year’s annual collaboration between M4RD and the RSM on 19th February 2020. As a mother of two children with a rare condition, CSID, it is so refreshing to see progress being made by highlighting and addressing all of these situations that we have encountered during a very frustrating path to diagnosis. We are warmed and reassured by the excellent educational drive and support you are giving to the medical community. Hi Sarah, thank you so much for your positive feedback. It is great to know that the work of M4RD is making a difference to the lives of those living with rare diseases.